We’d love your help. Let us know what’s wrong with this preview of Scars by C. Michael Lorion. Abby and Josh, two teens who will find themselves on the frontline of an assault on Old Wachusett, have no idea what is about to attack their community. They better figure it out soon, because they are the keys to stopping an ancient, supernatural evil that will destroy anything and anyone that gets in its way of satisfying its thirst for revenge. All it has to do is unlock the magic of the Totem, thereby unleashing unspeakable horror upon the inhabitants of Old Wachusett. Kimi and Achak are teenage sister and brother. They’ve been alive for more than three hundred years. They’re Native American. They have supernatural powers. And they’ve found a way to travel back from the past to the land their tribe once possessed. One is a tool of the ancient evil seeking revenge. The other is in the way. Four teenagers. Two cultures. One blizzard in 1978. And one quaint, unsuspecting city in Massachusetts whose destiny hangs in the balance, and whose fate will be determined by the actions of Kimi, Achak, Abby, and Josh. Totem (Book 1: Scars) is the first installment in a trilogy that will span one year in the fight for survival of Old Wachusett and its inhabitants, both present and past. To ask other readers questions about Scars, please sign up. Achak and Kimi -- both from a different time -- are in search of a powerful Totem in a land once inhabited by their tribe. Setting out on a collusion course with the people of Old Wachusett, the fate of those in their paths In 1978, as a great blizzard descends upon the City of Old Wachusett, Massachusetts, we are introduced to a variety of characters. Going about their lives, and facing an array of relationship and other challenges, a sense of impending doom is cast upon the people of the city. Achak and Kimi -- both from a different time -- are in search of a powerful Totem in a land once inhabited by their tribe. Setting out on a collusion course with the people of Old Wachusett, the fate of those in their paths has yet to be revealed. Who will survive, and what is the deeper meaning in the plight of these travelers? This first installment in the Totem Series showed promise, and I eagerly anticipated the direction the author would take us. The high quality writing, coupled with compelling characters early on, presented a story that seemed destined to propel us toward an exciting climax. However, about halfway through, the plot lost momentum. Scars introduces us to new characters in almost every chapter, and reads more like a series of short stories. That didn't bother me, as I imagined the lives of the characters would eventually intersect in a meaningful way. Unfortunately, it never really came together, and certain details that were presented early on were left unexamined. More attention was needed on plot development and pacing, to create cohesion. Additionally, the characters lacked depth, which made it difficult to stay invested in their lives and hardships. I bought Totem as part of a pay-it-forward read and review project. For the most part, I REALLY enjoyed this book, as in really really. It is hard to classify as far as genre, but mostly I guess it's sci-fi/fantasy, with generous dashes of horror and suspense. It centers around the people of a small NE town on a February day in 1978; the day a blizzard strikes, some odd strangers arrive, and rather terrifying and unfortunate things start happening. As mentioned by other reviewers, there is a larg I bought Totem as part of a pay-it-forward read and review project. For the most part, I REALLY enjoyed this book, as in really really. It is hard to classify as far as genre, but mostly I guess it's sci-fi/fantasy, with generous dashes of horror and suspense. It centers around the people of a small NE town on a February day in 1978; the day a blizzard strikes, some odd strangers arrive, and rather terrifying and unfortunate things start happening. Yeah, but. Despite that overall, this is a great book, there are issues. For one thing, I HATE the cover, like really hate. It doesn't fit the book at ALL, IMHO. But maybe that is just me. Otherwise, continuity in character's mannerisms(speech, mostly) and motivations was an issue, I'd be reading along happily, then there would be a part that seemed to come out of nowhere that was jarringly inconsistent and would make me go, wait...what?! Things that seemed totally out of character, or very thinly motivated, or a complete turnaround from two pages previously. (Teri's mannerisms with David at the school-and again back at the house, Constance and Margaret's dialogue at the library, Edward at the very end)It didn't happen a lot, but when it did, it was totally distracting and yanked me out of the story. I gave it a 3.5. because of that. With those issues handled, this book would be a solid 4, maybe even a 4.5. My favorite characters were Josh, Abby and Carl Sanderson, the latter of which I think was especially fascinating-he gave great internal monologue. I didn't like Edward or David much at all, but I liked not liking them, if that makes sense, lol. The wolf is intriguing, the combination of both menacing and obliging behavior makes you really want to know what is behind this creature...and the terrifying eagle... and the mystery of Julian and who he really is and what happened to him. This book leaves you with a lot of questions... and the best part is, you definitely want those answers. I have mixed feelings about Scars (Totem #1) so I decided to format this review a little differently, in three sections. Five stars, solid. The writing is excellent and clean. All the details, every character, is three-dimensional, natural, and real. 4 stars. I found most of the ideas and concepts involved intriguing and I wanted to know more. One star. This is where I have mixed feelings. The first half of the b I have mixed feelings about Scars (Totem #1) so I decided to format this review a little differently, in three sections. One star. This is where I have mixed feelings. The first half of the book felt like a roll call. Each character is introduced so fast, one after the other, before I had a chance to really start caring. And right at the second I started to care, switch to a new character and start all over from scratch. The POVs are all over the place, with no common thread to pull me forward. Any kind of common thread isn't revealed until two-thirds into the book. Overall, I felt the plot structure is disconnected and has fundamental flaws. It's asking too much of the reader, to blindly trust the author, when I would have liked to trust the story. To be honest, I'm still unclear what the plot is about. There are plenty of conflicts, random drama that doesn't seem connected to anything, and overuse of themes such as infidelity and apparently everyone in this town gives birth to twins for no reason given. Totem: Book 1: Scars by C. Michael Lorion is the story of Kimi, a one eyed Native American woman who has traveled through a "passage" into modern times in search of her brother. She has not made the journey to save her sibling. Kimi and her brother, Achak, do not have anything approximating a close, family relationship. In fact, the book begins with Kimi suffering a serious injury at the hands of her brother and moves on from there as Kimi tries to save the world from her brother's actions. Lorio Totem: Book 1: Scars by C. Michael Lorion is the story of Kimi, a one eyed Native American woman who has traveled through a "passage" into modern times in search of her brother. She has not made the journey to save her sibling. Kimi and her brother, Achak, do not have anything approximating a close, family relationship. In fact, the book begins with Kimi suffering a serious injury at the hands of her brother and moves on from there as Kimi tries to save the world from her brother's actions. 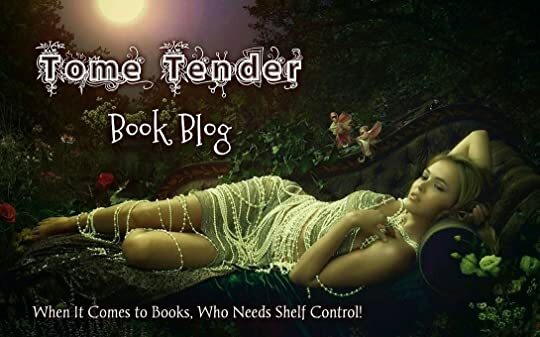 Lorion has written a page turner with concepts capable of pushing his readers' imaginations while maintaining emotions the same readers can feel. He has combined a mystical Native American story with a tale of suburban relationships, allowing his readers to have legendary characters with magical powers alongside people who could be our neighbors. The novel takes place in Old Wachusett, Massachusetts during a major blizzard. In addition to the conflict between Kimi and Achack, Lorion gives us David, a college mathematics professor, whose marriage to Connie, the local librarian, has suffered greatly since the death of Julian, one of his sons. David works with an attractive, younger colleague, whose presence isn't helping his troubles at home. David's son Josh, Julian's twin brother, has recently broken up with Abby, the daughter of a minister. The minister is a widower who has gotten into trouble due to his involvement with a married woman. That brief summation touches the main characters, but the novel give us a large cast of people who are all interrelated in a small town way. Lorion does a wonderful job of telling us about his characters through one plot line, then switching to another plot line where those characters are unaware of things we readers now know. This creates excitement as we wonder when and if the truth will come out. Totem: Book 1: Scars is, as its title states, book 1 of a series. So I wasn’t surprised when it introduced a number of sub plots which did not resolve prior to the end of the book. I would have preferred if some of the lines had come to an end while others kept going, but I do look forward to discovering results in the next book. Just the answer she figured she'd get from the One so high and mighty. Not that it mattered. Abby didn't need to look up to an invisible, apathetic God playing hide-and-seek in heaven while his hapless subjects struggled for survival down here on the big blue marble. She didn't need to count on anyone anymore for anything. From now on, everything in her life, everything that would happen to her, and everything that she would do was up to her. She would grab the reigns of her life and take all the responsibility from here on out. No more waiting for her father to fix things, no more wishful thinking that Josh would take her back, and absolutely no more futile attempts at connection to a freakish higher power that only seemed to relish in hiding Himself when people needed Him the most. No more any of that. I did like the way that this author was abl Totem is a well written and interesting read. Lorion's use of language and ability to create vivid imagery is particularly impressive. There were many times that I read a sentence and thought how clever it was. Totem follows a whole host of people as they one by one get pulled into what promises to be an epic battle of good and evil. Travelling forward through time, Kimi and Achak, two siblings on opposites sides are searching the mysterious Totem and the power behind it. Meanwhile, the rest of the town is going about their business as normal. Only their lives are more interconnected than one could have guessed. There is a huge cast of characters to follow. At first I wasn't so sure. But then as the story progresses we get to see how their lives are all interconnected and how their struggles push and pull each other into confrontations. The author did a nice job turning them into separate and interesting characters. So I didn't have any trouble keeping them all separate in my head, but I did, naturally, find myself more interested in some storylines than others. "It was seemingly insignificant, mundane niceties in life that served as the oil in the engine of society, keeping it lubed so the whole thing didn't seize up one day, belch out a final breath of noxious fumes and die, leaving all of humanity stranded by the roadside." As twisted as it sounds, I really liked Carl. Here was a very questionable man who has been wronged. That first chapter with him, you get this inner struggle. Yes, something unpleasant happened to him, the struggle he is going through is very human. What do we do when wronged? Acted out? Seek retribution? Do nothing? Even when his moral compass didn't point to good, he was still an interesting character. I also rather enjoyed the mystery of sorts between Josh and Julian. I liked learning about the brothers and really wanted to learn more about what happened in the past. Just what was this big event that practically destroyed a family? What is real? What is not? Questions like these kept me reading. "...you mistake Truth for Fear. Do you not see that? The two often feel the same, but are not." By the time the last chapter rolled around, I couldn't put the book down. I had to know what happened next. I was full of questions and theories that needed to be solved. But the last chapter teased me. It offered the lure of answers in the disguise of a certain couple characters. But then it left me hanging. So, now I must wait patiently until the next book is released to find out more about our heroes and the roles they play in that world. Totem began brilliantly and held my interest until the end. The elders of Kimi’s tribe send her on a quest across space and time. She’s to find both her brother and the Totem. What is the Totem? Good question. Kimi doesn’t even know; she’s never seen it or knows what it looks like. This might discourage other lesser girls, but Kimi proves to be a strong and resilient heroine. Her search takes her to Wachusett, old Wachusett to her, on the day of a great blizzard. There we meet several characters Totem began brilliantly and held my interest until the end. The elders of Kimi’s tribe send her on a quest across space and time. She’s to find both her brother and the Totem. What is the Totem? Good question. Kimi doesn’t even know; she’s never seen it or knows what it looks like. This might discourage other lesser girls, but Kimi proves to be a strong and resilient heroine. Her search takes her to Wachusett, old Wachusett to her, on the day of a great blizzard. There we meet several characters going about their everyday (albeit intensely dramatic) lives, unaware of the supernatural forces invading their town. C Michael Lorion’s writing is excellent. The narration is beautiful and dialogue engaging. Though a lot of characters get face time, some definitely stand out. My personal favorites were Kimi and Josh. Their storylines were dealt in a nice pace where we learned a little more about each character every time the plot came back around. But Achak, the elusive brother, was by far the most interesting. We didn’t get much of him in this book, and the mystery surrounding him and his abilities left me ravenous for more. The tempo slowed just a bit in the middle, but then picked up and made for a big cliff-hanger ending. I’m already looking forward to next book in the series. Starting off in the book I was hooked. But then as the chapters went by, I was introduced to so many characters, that I had trouble keeping up with who is who and my head was starting to spin. Aside from that, each character was unique. Different in their thoughts and mannerisms. Lorion made each character seem... human. Believable. And I liked that. Reading through their emotions, and ethical and moral battles raging withing their mind, I felt like I could relate to more characters than one. Ri Starting off in the book I was hooked. But then as the chapters went by, I was introduced to so many characters, that I had trouble keeping up with who is who and my head was starting to spin. Aside from that, each character was unique. Different in their thoughts and mannerisms. Lorion made each character seem... human. Believable. And I liked that. Reading through their emotions, and ethical and moral battles raging withing their mind, I felt like I could relate to more characters than one. Right by the end of the book, I was finally able to distinguish between characters. THis book lacked action. THere were some actions scenes, but this book focused more on the internal conflicts happening inside each individual, something I did not expect going in to the book. But nonetheless, It was a pleasant read. Totem left me with plenty of questions rolling around in my mind. Is Achack bad??? What does Joshua or Julian have to do with all the murders? And who the hell is the black wolf? Leaving some questions at the end of the book is good, as long as it is only about a handful rather than a long list of questions. In Totem Book 1: Scars, author C. Michael Lorion has a masterful way of making the reader believe. His words paint a picture with such depth that the characters more than connect with the reader; they come to life. I was truly impressed by his attention to detail and by the subtlety of his prose. Totem is intriguing and engaging, combining the day to day conflicts of life with the mysterious and the mystical. At times the pacing is slow, but this is not to the story’s detriment as it allows for t In Totem Book 1: Scars, author C. Michael Lorion has a masterful way of making the reader believe. His words paint a picture with such depth that the characters more than connect with the reader; they come to life. I was truly impressed by his attention to detail and by the subtlety of his prose. Totem is intriguing and engaging, combining the day to day conflicts of life with the mysterious and the mystical. At times the pacing is slow, but this is not to the story’s detriment as it allows for the development of the characters and ultimately of the series. I highly recommend this book to anyone looking for a well-crafted, intelligent, character driven fantasy that leaves the reader pleasantly wanting. It's hard to believe this is the author's first novel. Ready for some mystical time travel, ancient beliefs, revenge and salvation? Grab your mittens and boots, because we are headed into a blizzard of epic proportions that brings with it strangers, strange events and danger. Totem by C. Michael Lorion, the first novel in a trilogy, lays a firm foundation for the installments to come, leaving just the right amount of unanswered questions to make reading the next books a must! We aren’t dropped gently into this story; we are plunged into the past, as Ready for some mystical time travel, ancient beliefs, revenge and salvation? Grab your mittens and boots, because we are headed into a blizzard of epic proportions that brings with it strangers, strange events and danger. Totem by C. Michael Lorion, the first novel in a trilogy, lays a firm foundation for the installments to come, leaving just the right amount of unanswered questions to make reading the next books a must! We aren’t dropped gently into this story; we are plunged into the past, as a brutal punishment is being dealt. Fast forward from the 17th century to 1978 in a small, North Eastern town, unaware of the arrival of those from the past. From this point on, the story builds as much through the thoughts and dialogue of the many characters that make up this tale as the moments of quiet action. Two Native Americans from the past are seeking the “Totem,” for its legendary powers, but is it real or just another ancient story handed down through the generations? The Totem is a prize that will pit brother against sister as the search crosses time and beliefs while putting a small town in the eye of the battle storm that is brewing. What is the role of the wolf? How does the hawk/eagle fit in? Do these creatures symbolize more than meets the eye? C. Michael Lorion uses words like a maestro uses his orchestra, with expertly timed crescendos and those soft notes just before the ominous tones of danger. More character driven than action driven, each character becomes human-like with their mental and verbal dialogue, while beautifully detailed scenes become three dimensional as I felt I was being strategically placed within the story. Let’s talk time change, the transition C. Michael Lorion makes between the past and contemporary times is astounding! He captures the attitude of modern youth perfectly, that touch of rebelliousness, the freedom of youth, which lacks the proper maturity to understand they are not invincible. Mr. Lorion has defied genres with this one, but one thing is certain, he has given his readers high intrigue, while maintaining a veil of mystery over supernatural events. The ending leaves just enough hanging threads to ensure the need for book two of this trilogy. Looking for something you can sink your teeth into that promises more courses to come, take a look at this one. I received a review copy from the author in exchange for my honest review. TOTEM: SCARS is a clever weaving of Native American mythos and 1970's New England living. We are introduced to Kimi, a girl displaced in time and hunting down her vengeful brother Achak, both searching for a mysterious source of power known as the Totem. In Old Wachusett, Mass., it is 1978 and Josh has agreed to give his ex-girlfriend a ride to her mother's grave, thanks to her unreliable father. The man uses his parish as an excuse to keep his daughter away from that grave and the secret he wants to keep his child from discovering, while Josh's parents are growing further apart - from each other and him. This book follows a large cast of characters living their individual lives as their families decline, lost loved ones are mourned, infidelity lurks, and evil is insidiously creeping. Lorion does a magnificent job of making each character their own person with their own voice, no two sounding a like, and he tells his tale with clear and intelligent web-spinning. It is a wonder in the beginning how these two worlds can come together, and though there isn't a lot of action, there is a lot of character building, mystery, questions not yet answered, with a splash and dash of murder and a whole lot of dirty laundry needing airing. This fictional story takes you across centuries and drops you in the 1970s, which means if you are a Baby Boomer, this takes you back to your childhood or maybe your teenage years. The descriptions of the this normal New England community from the 70’s are so precise that it will make you wonder if the author had visited your bedroom as a teenager, complete with LP’s from the popular groups of the decade, the huge stereo speakers that either you had or knew a friend who did, and popular posters o This fictional story takes you across centuries and drops you in the 1970s, which means if you are a Baby Boomer, this takes you back to your childhood or maybe your teenage years. The descriptions of the this normal New England community from the 70’s are so precise that it will make you wonder if the author had visited your bedroom as a teenager, complete with LP’s from the popular groups of the decade, the huge stereo speakers that either you had or knew a friend who did, and popular posters on the walls. What a wonderful journey back in time this book offers while weaving a unique story, bringing characters living in two centuries together. All characters are well developed and interesting, you might even be reminded of someone you really knew back then. Don’t get too comfortable, this Sci-fi novel offers an exciting storyline to keep you on the edge including; time travel, surprises, mystery, blood and yes, scars. To make matters a little more intense, the portal is only open for a short time. When I finished this book I wanted more! This book (the first in the series) should be on your “must read” list. I highly recommend Totem: Book 1 Scars. This is one of the things that I absolutely love about being a book blogger! A some time ago, this author contacted me to ask if I would like to read and review his book. The premise intrigued me, so I gave it a shot. Wow, Totem left me with so many questions. First and foremost, when will book 2 be released? What has happened to Abby? Where will Kimi go? C. Michael Lorion has created such depth in his characters that I want…no, not want…I need to know more! I have to know where this story is goi This is one of the things that I absolutely love about being a book blogger! A some time ago, this author contacted me to ask if I would like to read and review his book. The premise intrigued me, so I gave it a shot. Totem is set in Massachusetts during a major blizzard in the late 1970’s. It follows a collection of interconnected people and the dark stories of their lives. It has everything that I could want in a book: good vs. evil, murder, betrayal, and the unexplained. Lorion continually introduces new and complex characters. As I read, I wondered how all of this was going to fit together. As I neared the conclusion of the book, the parts magically came together. This is one author that I would definitely recommend, especially if you enjoy good, dark, character driven suspense novels. Not my normal genre, but found this novel to be both engaging and entertaining. The entire novel takes place in the span of a handful of hours during the middle of a blizzard in Old Wachusett, Massachusetts. There are multiple characters, and each chapter switches the POV between them. I enjoyed that aspect. Each character had their own unique voice, and I was driven to find out more about their own individual stories. Some characters didn't get quite as much "face time" as others, but I imagine they will come more into play further into the series. Not my normal genre, but found this novel to be both engaging and entertaining. The entire novel takes place in the span of a handful of hours during the middle of a blizzard in Old Wachusett, Massachusetts. There are multiple characters, and each chapter switches the POV between them. I enjoyed that aspect. Each character had their own unique voice, and I was driven to find out more about their own individual stories. Some characters didn't get quite as much "face time" as others, but I imagine Not my normal genre, but found this novel to be both engaging and entertaining. The entire novel takes place in the span of a handful of hours during the middle of a blizzard in Old Wachusett, Massachusetts. There are multiple characters, and each chapter switches the POV between them. I enjoyed that aspect. Each character had their own unique voice, and I was driven to find out more about their own individual stories. Some characters didn't get quite as much "face time" as others, but I imagine they will come more into play further into the series. It's been almost a year since I started reading this book. I've decided at 23 chapters in I just can't get myself to read anymore. I find it to be boring and 23 chapters in I feel like nothings happened. Just can't get into it and at times it's hard to follow. 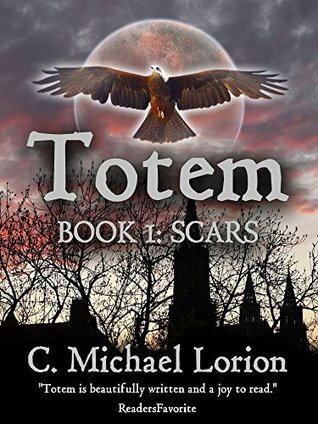 C. Michael Lorion's debut novel, Scars, the first entry in the Totem series, was released in the Kindle Store on April 8, 2014. A former librarian, automotive parts clerk, and high school math teacher, C. Michael Lorion left his full-time reaching position a few years ago to pursue a lifelong goal of writing a novel and attaining a writing career. He now lives in a small central Massachusetts town C. Michael Lorion's debut novel, Scars, the first entry in the Totem series, was released in the Kindle Store on April 8, 2014. A former librarian, automotive parts clerk, and high school math teacher, C. Michael Lorion left his full-time reaching position a few years ago to pursue a lifelong goal of writing a novel and attaining a writing career. He now lives in a small central Massachusetts town, is married, and has seven children. Hey, how you doin'? Hope you're reading something good, something that has sucked you into the story so much that the dishes are piling up, the children are going hungry, and your significant other is now jealous of the time you're spending with that book. Also, I write daily reviews of books I like, so feel free to follow those and leave comments wherever and whenever you'd like. I'd love to hear from you!